HomeBlogremains of the Roman circus AND a remarkable find! remains of the Roman circus AND a remarkable find! Today (16th June), the Trust will complete an archaeological evaluation on the site of the Arena Club within the old Colchester garrison. We began our fieldwork there on the 23rd May. During the evaluation, we uncovered further, well-preserved, remarkable remains of the Roman circus. These survive very close to the surface. The Roman circus was about 450 metres long and it consisted of a long, narrow U-shaped arena with a set of eight starting-gates and a central archway at the square end, and tiered seating-stands around the rest of the circuit. There would have been a large archway in the curved end, and a number of passageways through the seating-stands all round the circuit. The passageways provided access to and from the Roman circus for the thousands of spectators. During the evaluation, we have been able to investigate the remains of one of these passageways. The image above shows the metalled surface of this north-south passageway (vomitorium) which would have passed through the southern seating-stand between the arena and outside the Roman circus. The passageway was six Roman feet wide. 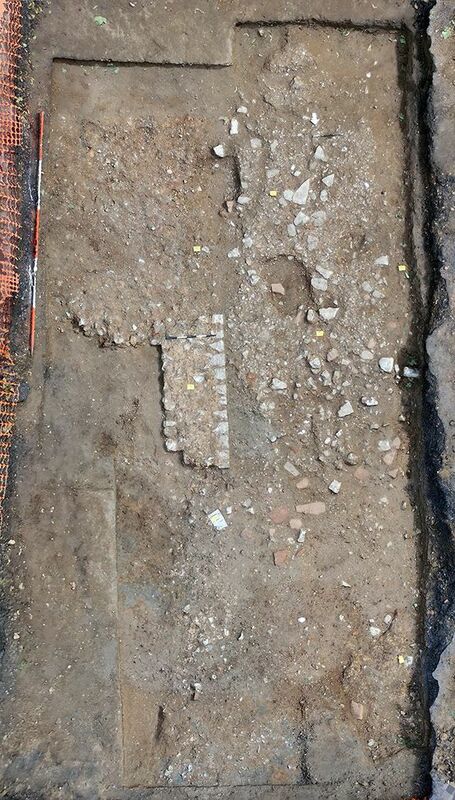 It is the fifth passageway which we have uncovered on the site of the Roman circus and, interestingly, it is about 20 feet east of our projected location of a passageway. The rubble represents stones deriving from the structure of the Roman circus but which have fallen off and been trampled into the surface during use. It would have been used by spectators to enter and exit the seating-stand and for the removal of damaged chariots, bodies, etc from the arena. – and a remarkable find! 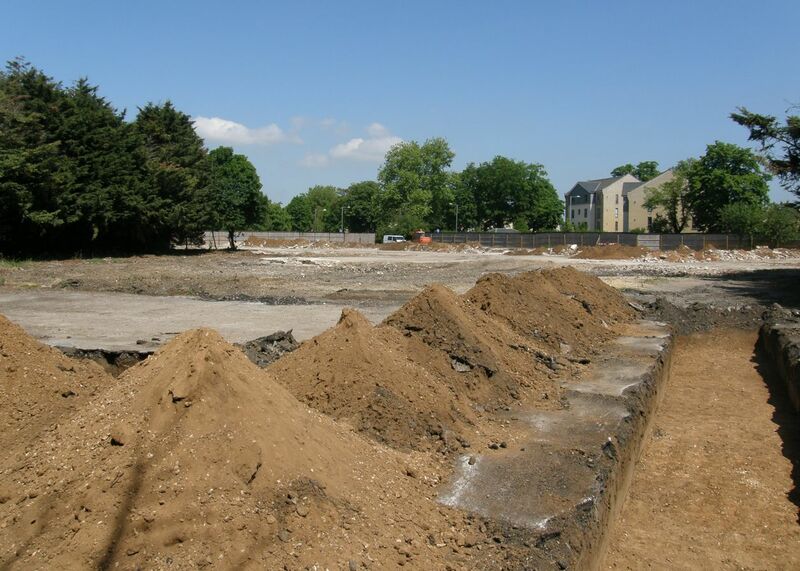 Last week, we also made a remarkable find on the site of the Roman circus. This is the bone core of a Roman horse hoof. It is quite small and represents a small female horse or pony. Trust director Philip says: ‘This is our most interesting find for a long time at the Roman circus in Colchester. Also, as the bone of a Roman horse from the site of a Roman circus, it is very rare …’. The hoof bone is 6 cm wide, 3.5 cm high and 4.2 cm deep. It is the ‘coffin bone’ of a horse’s foot (known as the ‘coffin’ bone or distal phalanx, third phalanx or pedal bone) and it would have been encased by the hoof ‘capsule’: it is the main bone of the horse’s foot. It may represent the foot of a younger horse as it is symmetrical in shape and not distorted by wear and tear, although it shows some evidence of arthritis, which can be caused by physical stresses such as those caused by chariot-racing. 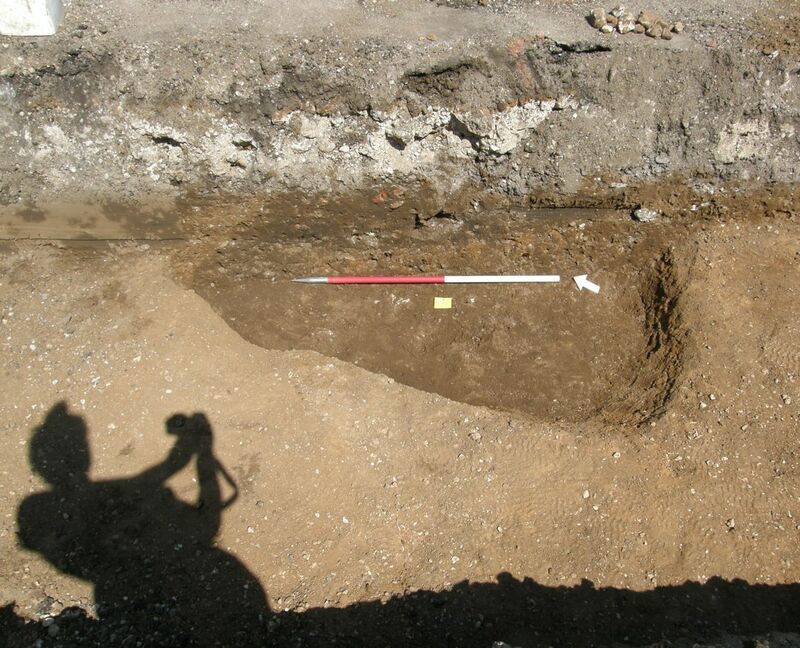 The Trust has excavated the remains of horses from 22 other contexts on sites within the old Colchester garrison in the past 20 years, most of these being adjacent to the site of the Roman circus. 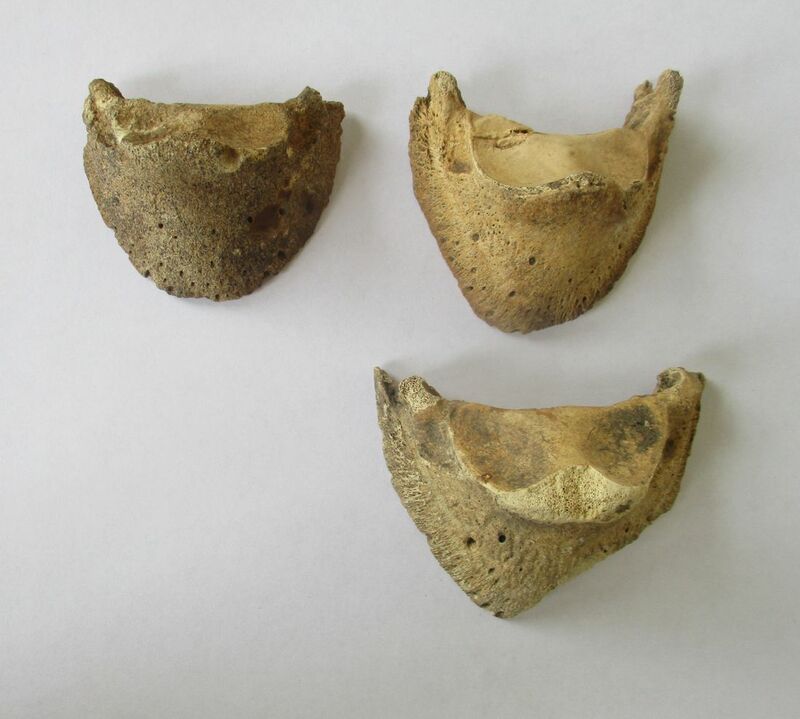 These remains include four equid bones from the site of the Roman circus itself. The Oxford handbook of animals in Classical thought and life, edited by G L Campbell (2014), includes a section on Roman circus horses. They would have been trained and raced in the circus from the age of five years and some raced up to the age of twenty. They are thought to have been the size of modern large ponies, which was comparatively large at that time. Roman horses were valuable and they were bred and trained for different uses: several ancient authors wrote about their care. Pelagonius wrote a treatise on horses called Ars Veterinaria which was probably written for racehorse-breeders or -owners and, in this, he described the stresses and injuries suffered by horses during chariot-races. In Pelagonius and Latin veterinary terminology in the Roman empire, by J N Adams (1995), the author writes that ‘… The importance of equine animals was such, not only in mundane economic and social life, but also in the army, cursus publicus and the circus races, that it was in the interests of owners or ueterinarii to observe their diseases closely …’. Varro (in De re rustica) described the care and feeding of horses. Pliny (in Natural history) also considered the characteristics required of Roman circus horses. Vegetius wrote a treatise called Ars Mulomedicina (3.6.2) in which he described Cappadocian (now central Turkish) or Spanish horses as the best for the Roman circus, with Sicilian horses as the next best. 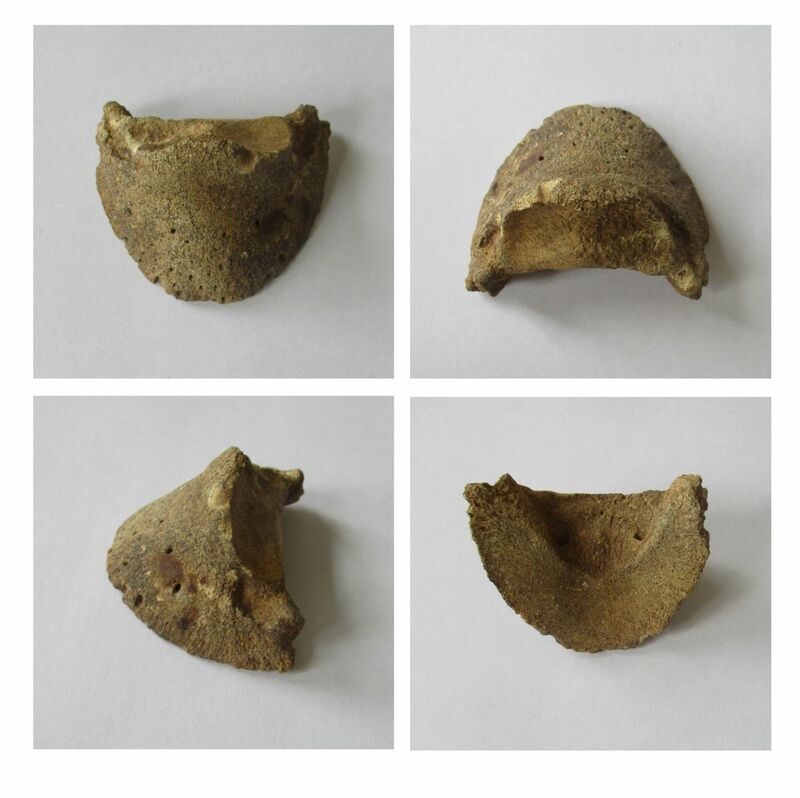 However, we think that the horses which raced at the Colchester Roman circus may have been bred and trained in the agricultural area to the south of the town (the site of the Roman circus also lies to the south of the town). The evaluation is being supervised by Trust archaeologist Nigel Rayner and carried out by Trust excavators: the hoof bone was recovered by Trust excavator Harvey. The project was commissioned by the RPS Group on behalf of RMPA Services. Explore the 3d-modelling of the remains of the Roman circus exposed on this site by Trust excavator Alec Wade at https://sketchfab.com/models/f08d53c8a2a24364b9ae05e1ac1c3cd5 .